Chemical peel treatments for skin are scientifically proven to improve skin colour and texture. Different kind of peels are used to address different problems of skin. Lightening spotty pigmentation due to acne or aging. Glycolic peels 20-70 percent glycolic peels are used for lightening pigmentation and refreshing the skin. Salicylic peels are used to control acne and oil secretion. TCA peels ( easy TCA peel) are used for fine wrinkles and resistant pigmentation. Deep peels like 50% TCA peels or phenol peels are not suited for Type 3-5 (Indian) skin, therefore, are not used in our clinic. Peels take about 10 minutes to perform. Usual steps are cleansing with effective cleanser, application of chemical peel solution for a few minutes, neutralization and pack in certain peels. Peels are painless, and you can go to your routine activity soon after the peel. How many sessions of chemical peels are required? Usually 4 to 8 sessions are recommended at 2 weeks interval. You will notice the difference after each peel. Are the results permanent after chemical peel treatments? After completing the recommended number of sessions and achieving maximum improvement, the results can be maintained by home skincare products usually containing similar chemicals in lower concentration. Whenever future ageing and sun damage related skin changes happen in future touch up peels can be done. Are chemical peels safe for skin? 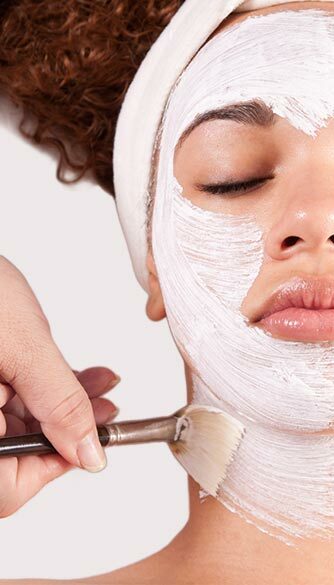 Chemicals that are used in superficial chemical peels, are made from fruit acids (alpha and beta hydroxy acids). For example, Glycolic acid comes from sugar cane, Lactic acid from curd and Citric acid from lemon. They are medically tested and approved to be safe. What parts of body can be treated with chemical peel treatments? Usually face, neck, arms and legs- but virtually any part can be treated. Are there any precautions to be followed while on chemical peel treatment? Wearing a sunscreen with SPF 30 and above and avoiding direct sun exposure is recommended. This is important to avoid sunburn and to maintain results for longer. Do not have peel done within a week of any important event or party . It is advised to avoid harsh scrubbing and bleaching during chemical peel treatments. Facials can be done with one week gap.